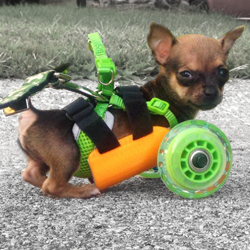 A Chihuahua born with only its back legs is now the proud owner of a tailor-made, 3D printed cart that allows him to zip wherever he wants in style! 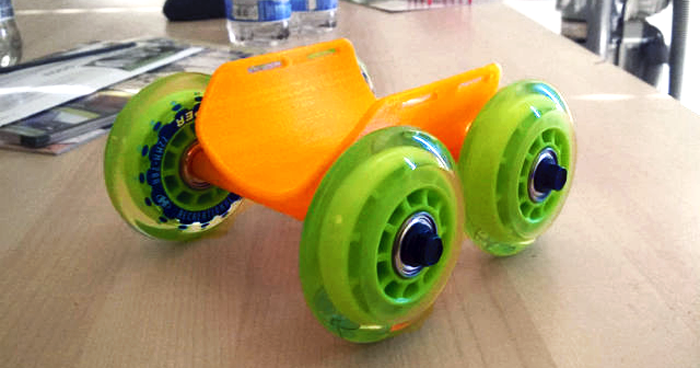 The 3D printed cart will serve TurboRoo – named for the snail from the recent DreamWorks flick and the fact that he looks like a kangaroo – until he grows older, at which point, Looper will be able to outfit the Chihuahua with something bigger, purchased with the $3,500 funds sent into her office at The Downtown Veterinarian. If you’d like to follow the cute little fella, he’s all over social media.